Get pedalling as a family in these gorgeous locations around Australia. Looking for something fun to do as family? You can’t go past a leisurely bike ride. Outside in the fresh air, a bike ride is a great way to spend some quality time together while getting some physical exercise. You can easily turn a bike ride into a half-day adventure by bringing along a picnic or riding to an exciting destination. To get you inspired, here’s a handful of Australia’s best spots for a family bike ride. Just minutes away from Sydney’s CBD, Centennial Park is the perfect place to take even the youngest of riders. The park’s Learners Cycleway is a path designed especially for beginner bike riders. For older kids, Grand Drive is a 3.8 km designated bike lane that winds around the park. Don’t forget to bring a tasty picnic lunch, as there are many sunny and sheltered spots throughout the park to enjoy. 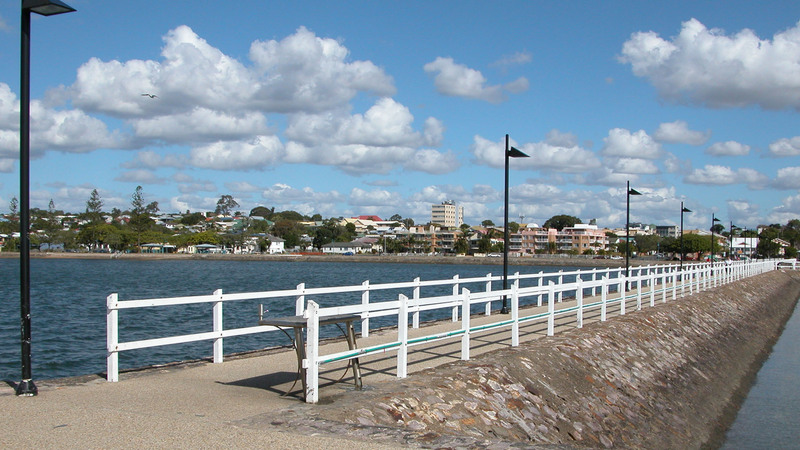 For a family bike ride with both sun and sea, head straight to Wynnum Esplanade. Following the shoreline from Oyster Point to Manly Marina, this 10 km loop has lots of attractions to keep little ones occupied. A popular spot along the way is Wynnum Water Park. Here, kids can play in a tidal pool or even get sprayed by one of the park’s spurting whales. Further along at Manly Marina, you can take a rest from pedalling and enjoy a treat from the jetty kiosk. Follow Cadel Evans’ lead and take a ride along the Great Ocean Road. Only an hour out of Melbourne’s CBD, Torquay Promenade is a flat, kid-friendly cycle path the whole family can enjoy. If you’re looking for something more adventurous, why not travel further down the coast to the Bells Track. Here you and the kids can cycle along the cliff tops and watch the daring surfers ride the waves below. Linear Park is the ideal place for Adelaide families to escape the hustle and bustle. The Linear Park Trail is a shared cycle path that follows the River Torrens all the way from the hills to the coast. Just pick the section closest to you and start pedalling. Along the trail you’ll find the kid-friendly Bonython Park, which has a road safety centre, complete with real traffic lights and roundabouts, where kids can learn to ride their bike in a car-free environment. With kilometres of sandy beaches and cycle paths, The Casuarina Coastal Reserve is a bike rider’s heaven. After riding along the coast, kids can explore the mangrove forests or try to spot one of the many species of native birds in the area. Once you’ve worked up an appetite, head over to the picnic area and use the free barbecues to cook yourself a delicious lunch. Kings Park is the perfect place for a family bike ride, with a number of bike paths that lead you through natural bushland and botanical gardens. When the little ones get bored of cycling, there’s plenty more to explore as a family in this beautiful park. You can marvel at the spectacular city and river views, take a stroll over the Tree Top Walk, or relax and enjoy a snack at one of the cafes. Plus there are several excellent playgrounds to explore, including the Naturescape – a playground designed to connect kids with nature. 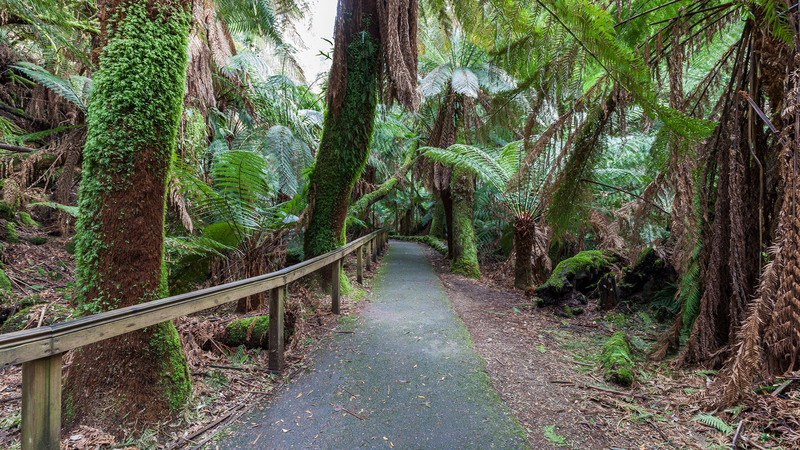 Most bike trails in Tasmania offer an abundance of beautiful scenery, and the Pipeline Track is no exception. This easy bike track will take you through leafy green forests, over historic bridges and down to a beautiful lookout at Gentle Annie Falls. Note that there are no shops along the track though, so make sure to bring water and a healthy picnic to enjoy after the ride.